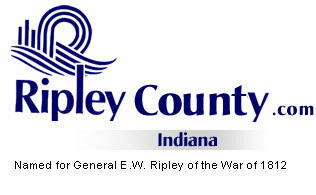 The Ripley County Council met on Tuesday, February 21st, 2006 at the Ripley County Annex in Versailles, Indiana. Donald Dunbar, Council President called the meeting to order promptly at 7:00PM with the pledge of allegiance to the flag. Council Members Don Dunbar, David Simon, Edward Armbrecht, William Dramann, Ben Peetz and Dephane Smith were in attendance. Mark Busching was not in attendance. Judy Schebler advised the council that the additional appropriations she is asking for would take the Telecommunicator from the Commissioners’ budget and put it in the 911 budget. Council Member Smith made a motion to approve the additional appropriations of $25,301 from Fund #277-17300-000-045/Telecomunicator, $10,490 from Fund#277-13370-000-045/Group Insurance,$1,455from Fund#277-18100-000-045/PERF, $1,935 from Fund#277-12600-000-045/Social Security for Judy Schebler, 911 seconded by Council Member Simon. Motion approved by five council members (Dunbar, Simon, Smith, Dramann & Peetz) Armbrecht voted against. Mark Busching was not present for this meeting. Council Member Smith made a motion to approve the additional appropriation for $20,080 from Fund#521-48525-000-521/Rising Sun Regional Foundation/ Early Warning Siren Grant for Judy Schebler, 911 seconded by Council Member Armbrecht. Motion approved by those present. Council Member Armbrecht made a motion to approve the additional appropriation of $50,000 from Fund# 216-37300-000-216/Belterra (for legal fees) for Robert Reiners, Ripley County Commissioner’s seconded by Council Member Peetz. Motion approved by those present. Council Member Smith made a motion to approve the additional appropriation of $7,000 from Fund#611-35275-000-611/Endownment Fund (Show mobile funding for exempt county organizations) seconded by Council Member Simon. Motion approved by those present. Council Member Smith made a motion to approve the additional appropriation of $5,037 from Fund#515-33055-000-515/Reynold Foundation (Panic Bars Grant) seconded by Council Member Simon. Motion approved by those present. Council Member Simon made a motion to bring off the table from last meeting Wagner Truss Abatement compliance request seconded by Council Member Smith. Motion approved by those present. Council Member Smith made a motion to approve the abatement compliance request of Wagner Truss, Napoleon, Indiana seconded by Council Member Simon. Motion approved by those present. Scott Huffman, EMS Director updated the county council members on how EMS is running. Huffman advised that they are giving classes and that billing is working. Reiners advised that the commissioners and the council will need to work together to prepare grants to submit to the Lawrenceburg Grant Committee. Council Member Dramann made a motion to appoint Dephane Smith to the Southeastern Indiana Regional Planning Commission seconded by Council Member Armbrecht. Motion approved by those present. Council Member Smith made a motion to appoint Donald Dunbar to the Southeastern Indiana Solid Waste Board seconded by Council Member Simon. Motion approved by those present. Council President Dunbar signed the Ripley County/State of Indiana/ Sheriff’s Salary Contract for the year 2006.
for another year (Edward Armbrecht/ Economic Development Board & Technology Committee, Benjamin Peetz t/ E911 Advisory Board, Donald Dunbar/ Grant Committee, Dephane Smith/ EMS Advisory Committee and William Dramann/ Welfare Committee seconded by Council Member Dramann. Motion approved by those present. Council Member Armbrecht advised that he had been contacted about an salary issue at Soil & Water. (Grant to be used for salary raises). Armbrecht suggested that the council request Irvin Harmeyer be present at the March meeting, if they wish. Council Member Smith made a motion to put Soil & Water on the March agenda seconded by Council Member Simon. Motion approved by those present. Council Member Smith made a motion to adjourn until the next regular meeting on Tuesday, March 21st, 2006 @ 7:00PM seconded by Council Member Dramann. Motion approved by those present.